Guiding and caring for students through their transition from childhood to adolescence is a major goal at St. Clement's School. 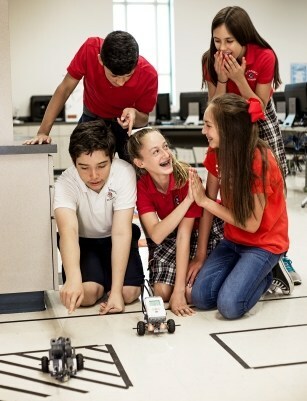 Middle School students gain responsibility, independence, and confidence as they develop personal and academic skills. Challenging experiences help encourage each student's meaningful progression across the sixth through eighth grade years. The Middle School academic program is departmentalized. The core curriculum includes five academic courses in English, history, mathematics, science, and Spanish. The entire curriculum seeks to develop speaking, writing, critical and creative thinking, and problem solving skills in addition to constructing knowledge in the subject areas. 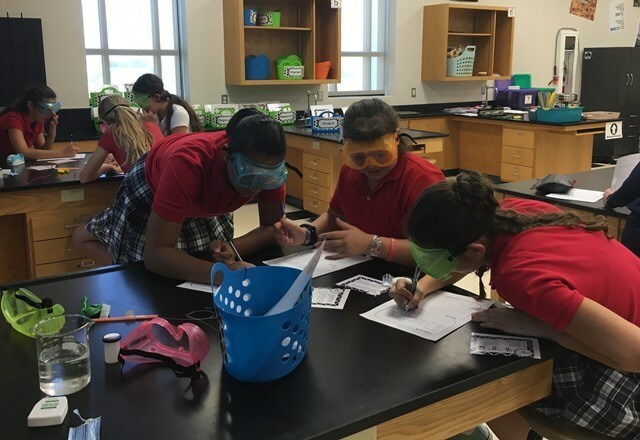 At the sixth grade level, in addition to their core courses, students have nine-week enrichment classes in art, Christian education, speech communications, and technology. Sixth grade students also choose to take physical education or orchestra. At the seventh and eighth grade levels, in addition to their cores classes, students choose elective classes in the areas of art, digital media, health, journalism, vocal music, orchestra, physical education, and speech/public speaking. All seventh and eighth graders also take semester long classes in Christian education and technology. Because students need strong bodies to fuel strong minds, all Middle School students have a daily recess period.